I like the notion. It makes me think of having the freedom to be myself and to find joy in living. Friends of mine can attest that I’m often the first on the dance floor, and I have experienced great heartache yet now share a deep love with my husband. It’s the first phrase, “Work like you don’t need the money” that’s been the hardest for me to grasp. I was raised by a single, working mom. Growing up, we always needed the money. It’s never been an option for me to not work, so I wondered: How does one attain freedom and joy in their work life when winning the lottery seems out of reach? The answer, I believe, lies in finding one’s purpose in life. 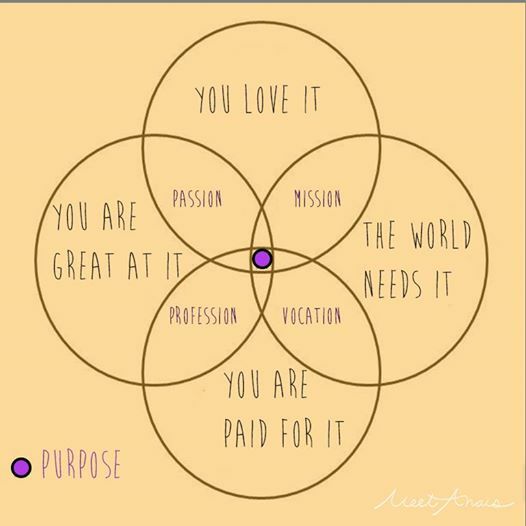 My LinkedIn profile includes an image created by entrepreneur Anaïs Bock, which depicts “purpose” as that spot where what you’re great at, what you love, what the world needs and what you are paid to do all coincide. 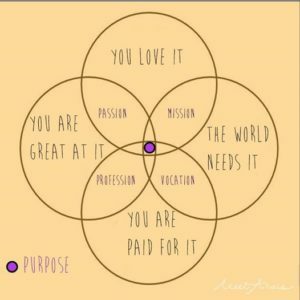 When I’m in that “purpose” spot, I feel I am working like I don’t need the money. 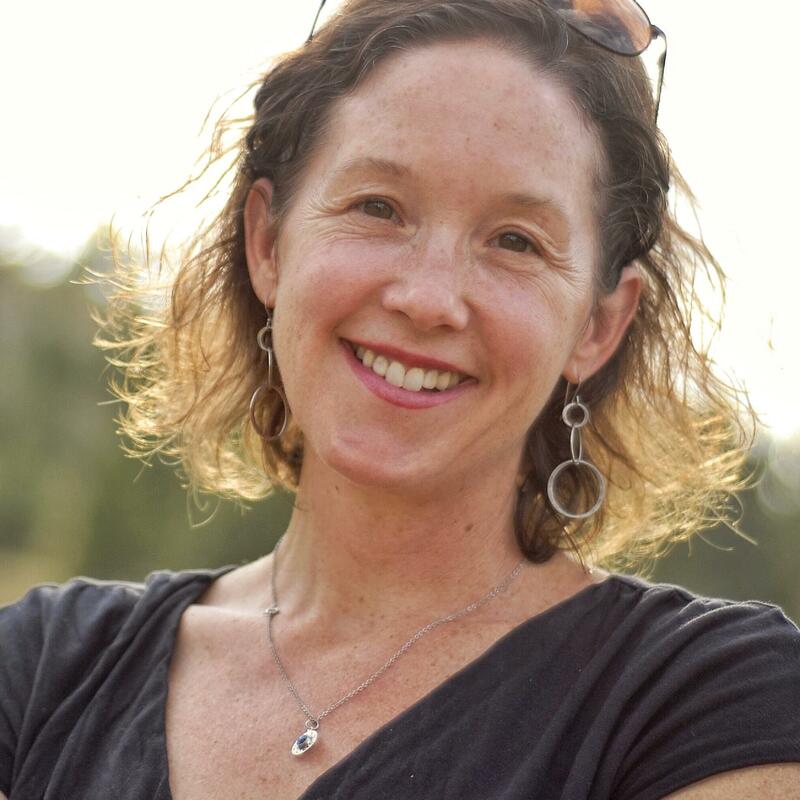 It happens when I’m leading a workshop and participants are fully engaged, or when I help a group redesign a meeting so more learning and doing occurs. It happened this morning when a young woman asked for advice on navigating deep misunderstandings in her community. I love that Bock’s model includes that the world needs it. If you believe, as I do, that we all want to know our work matters – that we matter – it becomes clear that we must do work that is needed, work that is important to something bigger than we are. I feel tremendous gratitude when I can bring my love of community building, facilitating and play to groups trying to have greater impact in their efforts. There is a peace that comes from finding your life’s purpose. While there are periods of fatigue and confusion (as I describe in my recent post, After the Ecstasy, the Laundry) there is also a sense of confidence that you are on the right track: you know what to do.